At Therma Truck Refrigerated Bodies. Our main objectives are to build a high quality product that is robust and has excellent temperature holding capabilities. We understand how critical it is for both drivers and managers to have a refrigerated truck that can deliver refrigerated products at the required temperature regardless of the outside temperature. When you choose a Therma Truck Refrigerated Body we guarantee you are choosing one of the finest refrigerated truck bodies in Australia. Our attention to detail, together with a quality built customised product as well as a full range of ready built stock bodies are committed to earning and keeping our customers trust by maintaining high standards of service and workmanship that will carry us well into the future. 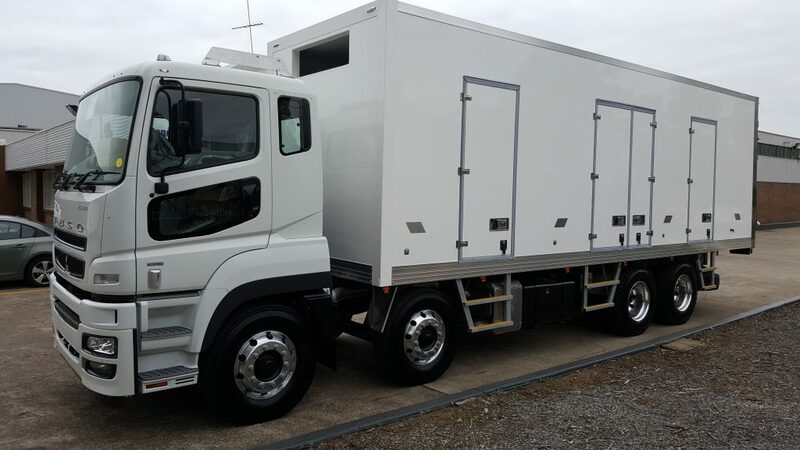 Customers from all over Australia choose Therma Truck Refrigerated Bodies to build their custom made refrigerated trucks because they know that they are assured of being supplied a long lasting quality product, trust and assurance of quality is of prime importance.